Recently, I found some funny “news” on Facebook. 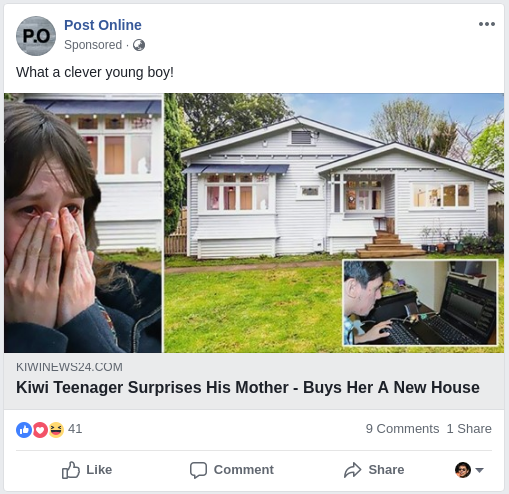 For example, a surprising mom with a new house. 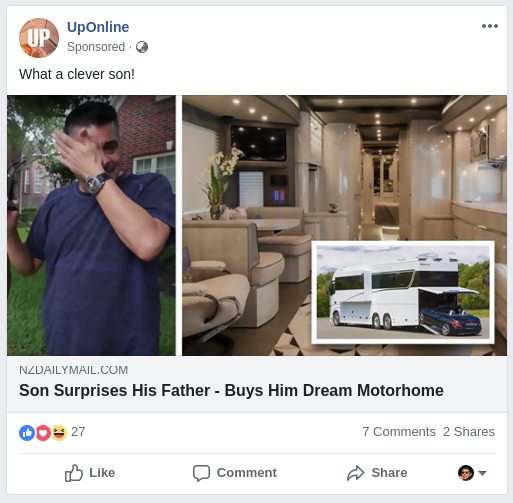 Or, surprised father and the dreamed motorhome. I won’t notice if they are fake or not, before the two stories displayed in my timeline at the same time only 2 or 3 contents away. If you look them closer. You will find the story actually stupid enough. Or, the school is the best, richest, top one in New Zealand, is that possible? Both of them starts the same way “Have you heard about …”. And ending with the same words “Show me your money”. It’s hiding good enough to none-high-tech people. Did you notice the green lock? But if you click any link on the page, this URL won’t change which means the page is framed. All link is heading to another website heraldlocal.com. 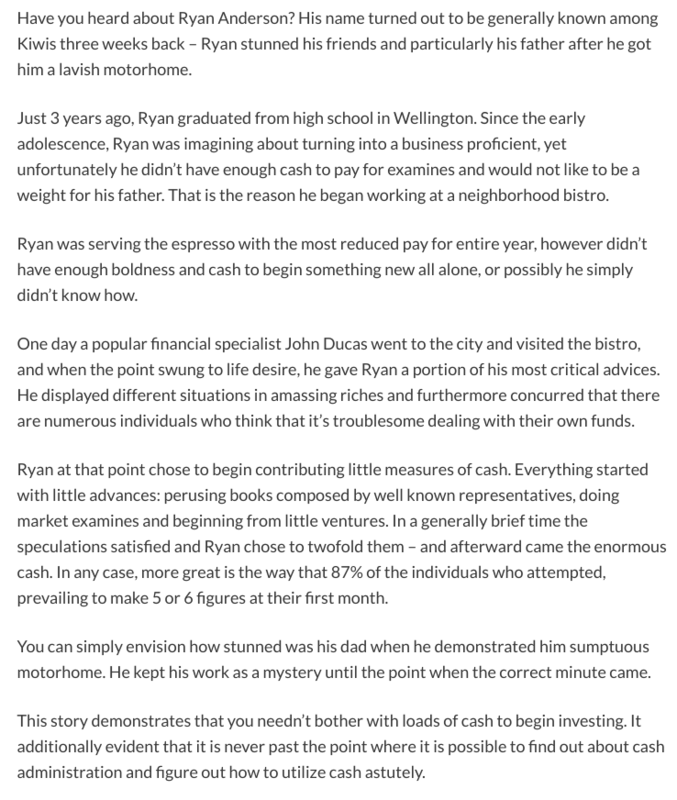 It’s not the real NZ Herald Local Focus but copied a lot from it. The people who use WordPress a lot much familiar to this login page https://heraldlocal.com/wp-admin/. 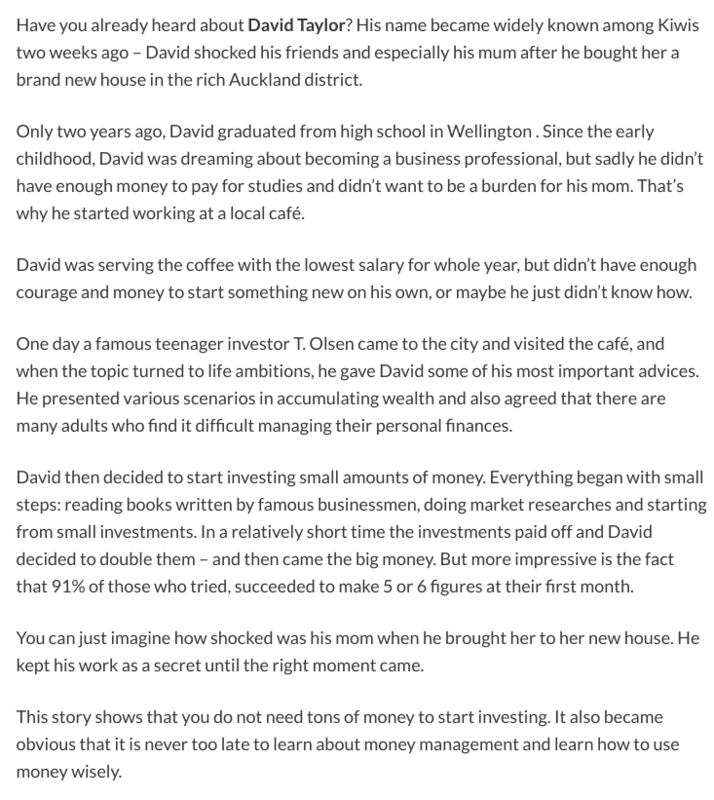 The people behind this website bought a huge amount of domains, paid a lot to Facebook advertising, and make plenty of similar websites to advertise the poor quality article to convince people to invest money. Ehm, funny, I haven’t seen any direct benefit for them from it. Who can tell me why they are doing so?